Don't have any suggestions myself, but would be interested to know what it turns out to be! There was an Oxford missing for a couple of years in the Akatarawa's, two crew died. Victa Airtourer CWB crashed in the area in November 1973 after a severe turbulence encounter. Pilot killed, largely due to not using the shoulder harness provided. I have no info on whether the aircraft was recovered. See John King's book "NZ Tragedies - Aviation Accidents and disasters" pg 84. ZK-CWB was closer to Featherston on the Rimutaka Range which eliminates that possibility. You are right. Airspeed Oxford NZ1245 20 Nov 1941, crashed approx. 1.2 kms NE of Maunganui Hill, which places it on the Deadwood Ridge. I've yet to confirm that it is definitely the spot that this wreckage was found, but I'd say that this one is most likely solved. It will save me a trip down there to check it out! Good morning Gavin .a thought a Cherokee went down in that area many years ago . It was burnt badly. the pilot injured.wonder if the remains were lifted out ?. 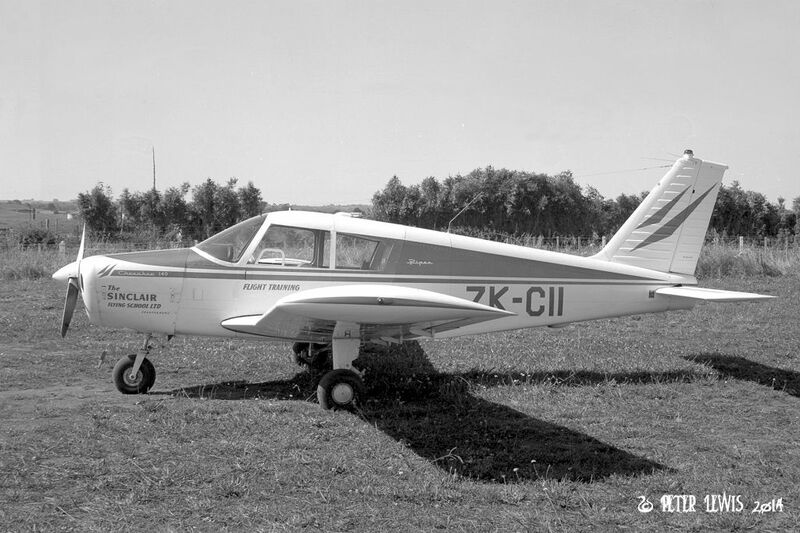 My guess is the PA28 ZK CII of the Sinclair Flying School Paraparaumu, from July 1972. It force-landed on a logging track at the eastern end of the Deadwood Ridge about 1 nm west of Cloustonville just on dusk one night and was effectively destroyed in the ensuing fire. The pilot was badly injured. The wreckage was left at the site and at some time subsequent, what remained of it was bulldozed over a bank. I'd be interested to hear more of its recent discovery as I live very close by and this is the first I've heard of it. I'd say 'you're on the money' Thomarse. I received the co-ordinates this morning and quickly discovered that it couldn't be NZ1245 as it was over 3 miles further south than where NZ1245 was supposedly found. Since then I've been over what seems like hundreds of records trying to find the record of the Cherokee that Dakman referred to. Unfortunately my records from 22 Jan 1958 to 7 March 1973 seem to have disappeared so as you say it was July 1972, means I didn't have a hope of finding it. The co-ordinates I have been given are: 41° 0.052'S 175° 5.584'E or -41.000837003812194 175.09305501356721 (whichever TM format you prefer). If you copy and paste either of them into the "Search" box in Google Earth, it will 'take' you there. It's a little further than 1 nm west of Cloustonville... about 1.5 nm, but obviously the one you are talking about. This is what the person that told me about it said: "On one of the days the trip leader took us up a track that had been freshly bulldozed (February 2014) and in that process on the top of a high ridge the driver accidentally unearthed the remains of the aircraft when he pushed a water runoff area a few metres into the bush just off the track." It is obviously the "Logging Track" you speak of. Many thanks Thomarse and everyone else for your inputs.... Another mystery solved! If ever you go up and have a look, I'd love to see the photos! Cherokee 140 ZK-CII does sound about right. Cr Akatarawa Ranges, Upper Hutt, 23Jul72 & DBF. Pilot P MacCaulay. 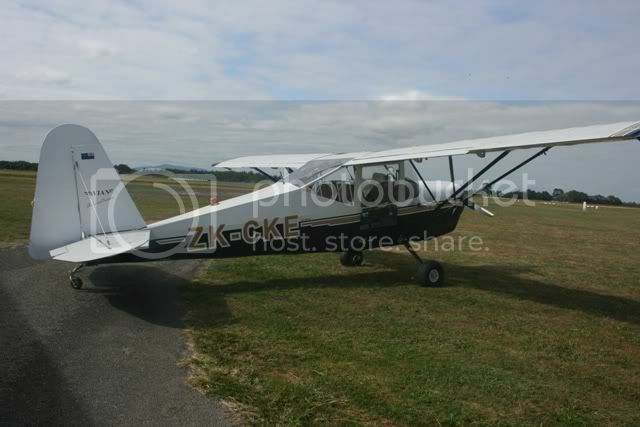 I do note that, although it was owned by a finance company throughout its entire life in NZ and leased to the Sinclair Flying School of Paraparaumu through the 1960s, it was operated by the Wellington Aero Club from April 1971 until its demise. Has anybody thought about the possibility of it being the mysterious disappearance of Hood and Moncrieff's Ryan B-1 Brougham on 10 January 1928? Probably not; there seems to be a well-held belief that that wreckage is more likely to be found on the West Coast, rather than further north. It's an interesting possibility though, that if it was H&M's aircraft would definitely re-write NZ history. Hopefully someone will check 'just in case'. Regarding the Ryan. There was a story in Pacific Wings about ten years ago. I think it came from Les Marshall and Mike Feeney. It was about these folk in the Kaikohe area I think that heard and aircraft fly from West to East one night. The whole family heard it but could not see it. In 1928 there would have been no other sound like an aircraft. Pictures! A few months back on the reality program featuring the Wellington rescue helicopter, over flew a "old" A/C wreck on the Wairarapa coast up on a hillside. Any ideas on this one? There was a story on the forum here about a year ago about an old aircraft wreck found that might have been Hood and Moncreiff's Ryan. Did anything come of that? Was it identified? Yes they were discussing access by special 4WD up a riverbed to get vaguely close to the suspected aircraft remains in from the west coast somewhere. crash site .It.s near Bideford . I don't think much of the Ryan would be left, probably just the engine and a few other miscellaneous bits and pieces at best - and unless very poorly identified I doubt it would be described as "aluminium wreckage"!